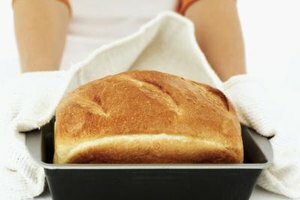 No bacteria can withstand the temperatures needed for baking bread. 1 How Long Do You Bake Brownie Cupcakes in a Silicone Pan? 3 What Prevents Mold in Fruit Cakes? 4 Does Yeast Cause Holes in Bread? Baking cake, cookie or bread dough kills any bacteria present. But that fact doesn't account for those who like to eat raw cookie dough, like 53 percent of the college students surveyed in a 2008 study reported by the Journal of the American Dietetic Association. To stay safe in the kitchen, refrain from eating raw dough and practice safe cooking techniques. Bacteria exist everywhere -- on your hands, your kitchen counters and in your bread and cookie dough. The longer your dough sits outside the refrigerator, the more quickly bacteria will grow, doubling in numbers in as little as 10 minutes. Some bacteria, like lactobacilli, are safe to eat and produce fermentation that helps yeast breads rise. Others are harmful, like salmonella, which sometimes exists in raw eggs. 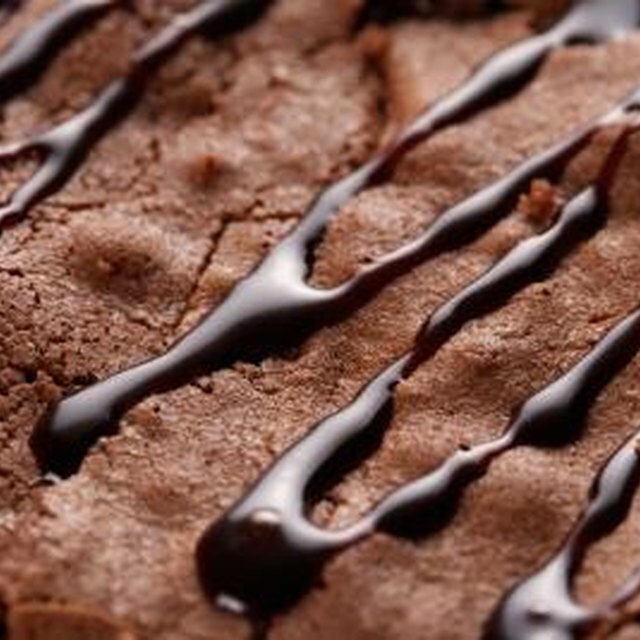 Oven baking temperatures for cookie, cake and bread dough reach high enough temperatures to kill bacteria. Since the highest temperatures you need to kill the bacteria in eggs, casseroles and meats is 165 degrees Fahrenheit, oven temperatures of 300 F or 350 F for baking do a good job at killing both beneficial and dangerous bacteria. However, bacteria in the air reinfect some foods within two hours, so refrigerate cheesecakes or cakes with cream cheese frosting within at least two hours of baking. Unfortunately, some bacteria extend their lives by producing spores, dormant forms of the bacteria that survive harsh conditions. C. botulinum bacteria, for example, is just one of many bacterial spores that needs heating at 250 F for several minutes for the spores to die. While not all bacteria produce spores, it's prudent to bake your cookies at typical high temperatures of 300 F or 350 F instead of experimenting with baking cookies on the dashboard of your car on a hot summer day. To reduce your chances of getting sick from bacteria in baked goods, practice safe food handling habits in the kitchen and bake your cookie and cake dough at high temperatures. Always wash your hands before beginning to cook and after handling raw eggs, meat or poultry. Wash all utensils and countertops after cooking with hot, soapy water and follow baking and cooking instructions thoroughly, including letting microwaved foods stand for a few minutes so they cook completely. What Causes Bubbles on Top of Cakes When Baking?